After winning a championship at Kentucky last season, Anthony Davis took a path similar to Carmelo Anthony’s and decided to join the professional ranks. 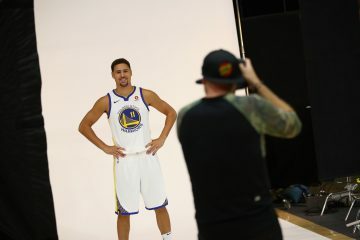 He was selected first overall in the 2012 NBA draft and got to be part of the 2012 Olympic men’s basketball team that many have stated could have entertained a competitive battle against the 1992 Dream Team. Davis has earned a lot of praise and accolades based on his accomplishments on the collegiate level as well as the few flashes of brilliance he displayed during the Olympics. His NBA career is just really getting started after being sidelined for a couple of games this season due to injury. The sample is awfully small, but if there’s one thing that seems apparent in the early going as it pertains to the former Wildcat, it’s that he has star written all over him. Damian Lillard is most likely in the lead for the Rookie of the Year award and deservedly so considering how well he’s played this season. However, Davis just looks like a player that’s destined to be the game’s next great big man. Indeed, as over the top as this may sound, Davis looks like a cross between a young Kevin Garnett and an equally youthful Tim Duncan. That’s incredible praise that may in fact border on the line of ridiculous quite frankly. But the tools are there, it’s just up the rookie to work on them. 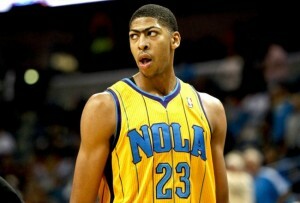 Davis stands at 6’10’’ and plays power forward for the New Orleans Hornets. Mind you, Monty Williams hasn’t been shy about experimenting with his prized rookie and playing him at different frontcourt positions for the sake of his development and also to see if he can handle such tasks. For the most part, it’s widely evident that Anthony Davis has the talent to become a stud power forward, but he will have to work at it in order for it to happen. For instance, defensively he recognizes his assignments but it often takes him a split second to figure out where to run to and who to rotate to; which is usually the difference between an open shot or a contested one. Thus, it’s common to see him run out late to close out shooters or simply hug his man if it’s player capable of converting perimeter jumpers. If we look at the data compiled by NBA.com’s advanced stats tool, it tells us that when the Kentucky product is on the court, opponents score 102.6 points per game on 47.5 percent field goal shooting per 48 minutes, whereas when he is on the bench, the Hornets surrender 95.4 points per game on 45.4 percent shooting from the field. It’s no secret, at this moment in time Davis is literally getting his feet wet, and that consequently growing pains are to be expected. Not only is he still figuring out his role defensively, his body isn’t yet NBA ready so to speak. Whenever opposing big men post him up, the Hornets immediately send an extra defender because he does not yet have the strength to prevent them from overpowering him in the paint. Also, he is a liability at the moment in pick-and-roll defense because he hedges a bit too hard, which makes it tough for him to recover back to his initial assignment, but it also means that ball handlers can quickly split the trap when he begins to hedge defensively. These are all facets of his game that he can correct through repetition and practice to become a better team defender, and bulking up a little will surely help him when it comes to defending players on the block. If these were the only aspects to Davis’ defensive game, he would hardly be worthy of being drafted first in the draft, but he has some other skills that help offset at least to some degree the deficiencies in his game at the moment. The 6’10’’ forward does a good job of tracking the ball for rebounds and snatching it out of the air even if he fails to box out his man. In addition, he is quite good at timing the path of the ball from the weak side of the court and swatting the shots of unsuspecting perimeter players that drove down the lane. Davis not only has the timing, but he’s also a terrific athlete, which makes him a terrorizing shot blocker, unlike say Blake Griffin for instance. On offense, New Orleans really doesn’t ask him to do much other than run the court and set screens. There are many instances in which the Hornets will run a set on one side of the court, and have Davis at the complete opposite side of the court essentially lounging. To his credit, he tries to flash to the ball whenever he senses an opening for a catch and finish at the hoop. Davis is a really good finisher around basket area, which explains why the Hornets put him in so many pick-and-rolls. 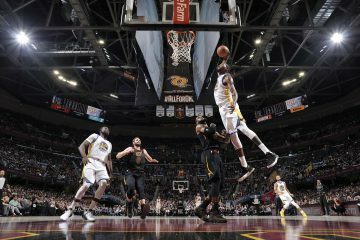 According to MySynergySports, 29 percent of his field goal attempts come as a result of him rolling to the basket in pick-and-roll situations, and another 15.3 percent of his attempts come from him just cutting to the basket. Those two situations represent the vast majority of his shots attempts so far this season. What’s impressive about the first year player though is that he’s slowly understanding how to read defenses and forego the pick-and-roll to instead execute a pick-and-pop for a midrange jumper where he is converting 43 percent of his shots per Hoopdata. 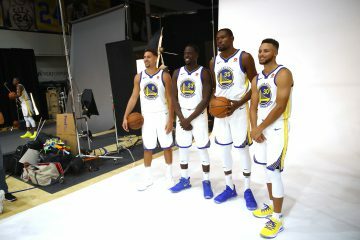 At the moment, the Olympic gold medalist remains more of a perimeter player given his inability to post up stronger players for the time being. Mind you, he has the capability of taking big men off the dribble and getting himself to the rim or the free throw line on occasion. In addition, Davis is a good passing big man that can run hand offs and feed teammates from the high post as they cut to the basket or post up right in front the rim. And again, if all of that fails, the big man will simply set a screen for his ball handler and roll hard to the basket for an alley-oop finish. Despite the fact that his team doesn’t run any plays for him, Davis helps the offense produce. 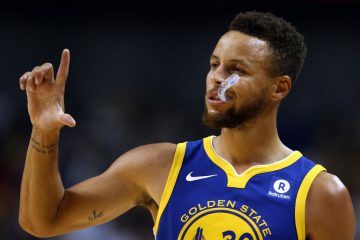 NBA.com tells us that when he is on the bench, the Hornets produce 90.1 points per game and 20.4 assists per game on 43.5 percent field goal shooting per 48 minutes, but when he hits the hardwood the figures increase to 94 points per game and 23.1 assists per game on 46 percent field goal shooting per 48 minutes. The numbers themselves don’t necessarily tell us that he will be great, but his ability to step in and be ready to play as a rookie in the NBA at age 19 and hang with grown men certainly speaks to the talent and potential that he possesses. And again, the Hornets do not yet run plays for him; thus it’s fair to project that once he adds some weight that he will have the opportunity to have the offense run through him on occasion from either the high or low post, and by then he might become the next great big. Time will certainly tell, but I’d bank on Anthony Davis’s talent and promise. Is Carmelo the Best Forward in the Game?